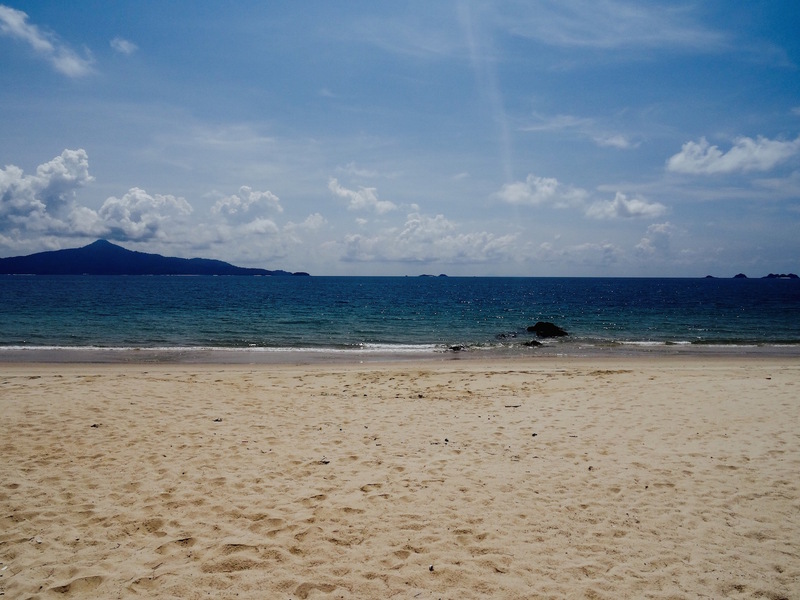 My 5: Sibu Island, Malaysia. 1. Sibu Island, May 2015. Pilau Sibu is not an easy place to get to! I’d been travelling around Thailand for a few months, but needed to leave the country for the expiration of my first thirty-day visa. So I flew into Singapore. from Krabi, took in the sights for a few days and began the long journey out to Sibu. First came the bus to Johor Bahru, a humdrum Malaysian city connected to Singapore via a 1056-meter causeway. From there I caught another bus heading across eastern Malaysia. Jumping off at the tumbleweed outpost of Simpang Tenggaroh a couple of hours later (little more than a gas station with snoozing locals), I quickly employed the services of a taxi driver who took me out to Tanjung Leman jetty, the gateway to Sibu Island. From there the speedboat over to my resort was a brisk and exhilarating twenty minutes! 2. Twin Beach Resort, May 2015. There are eight resorts on Sibu and after much shopping around I settled on Twin Beach, a rustic collection of seaside chalets located in the centre of the island. Cheap and cheerful would be the best way to describe my experience. My chalet was a creaky old shed with resident bugs, a bathroom that looked as though it might collapse at any moment and a rattling old fan that made heavy work out of doing what a fan ought to do. Still, the view from the porch more than made up for it all. 3. Sunset Beach, May 2015. As its name suggests, Twin Beach Resort boasts not one but two beaches! But in reality Sunrise Beach isn’t really a place to hang out, its bedraggled strip of sand being way too narrow and stony. Sunset Beach on the other hand is very pretty and one of the most relaxing places I’ve ever stayed at. There were maybe a handful of visitors during my stay and the sea was always warm with a gentle breeze. In fact, so quiet was it that I never had any trouble claiming the lone hammock just a stone’s throw from my chalet. 4. Sari Pacifica Resort, May 2015. Sibu is a great island to walk and bike around. Wherever you head, it won’t be long before you bump into one of the other resorts. Sari Pacifica is definitely the island’s boutique option. Their spacious white beach houses are fully equipped and set in a lush green garden complex with sea views. It’s also one of the few places to offer a pool. “No pool on Sibu as good like this!” chuckled the Indian attendant who showed me around. While I admittedly didn’t check out the others, I had no problem beliving him. 5. 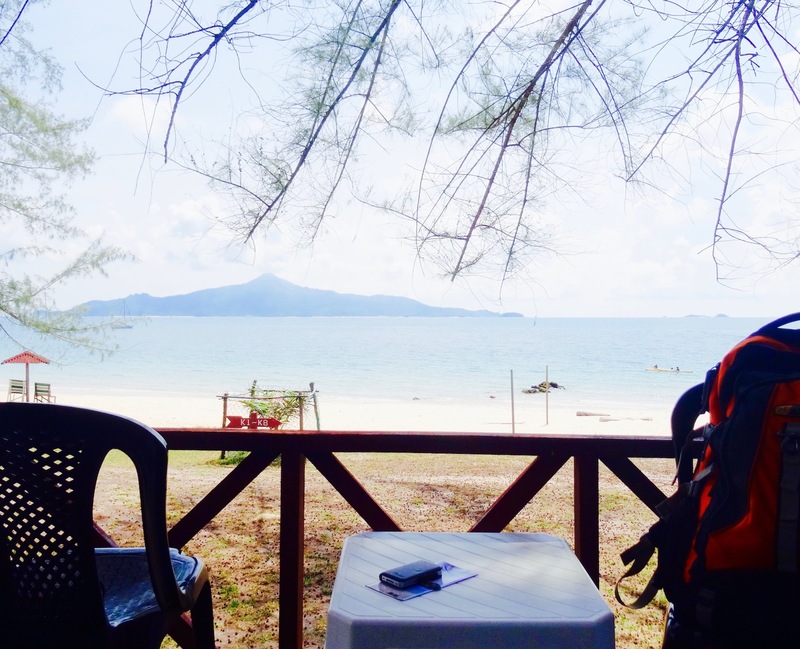 Sea Gypsy Resort, May 2015. An old friend of mine worked at Sea Gypsy, another island resort. Hence the reason I went out of my way to add Sibu to my travel itinerary. During my stay, I made the daily pilgrimage over from Twin Beach. It was a thirty-minute walk that saw me pass through Sari Pacifica Resort and scramble over a precarious network of rocks before hitting Sea Gypsy’s peaceful stretch of golden sand. 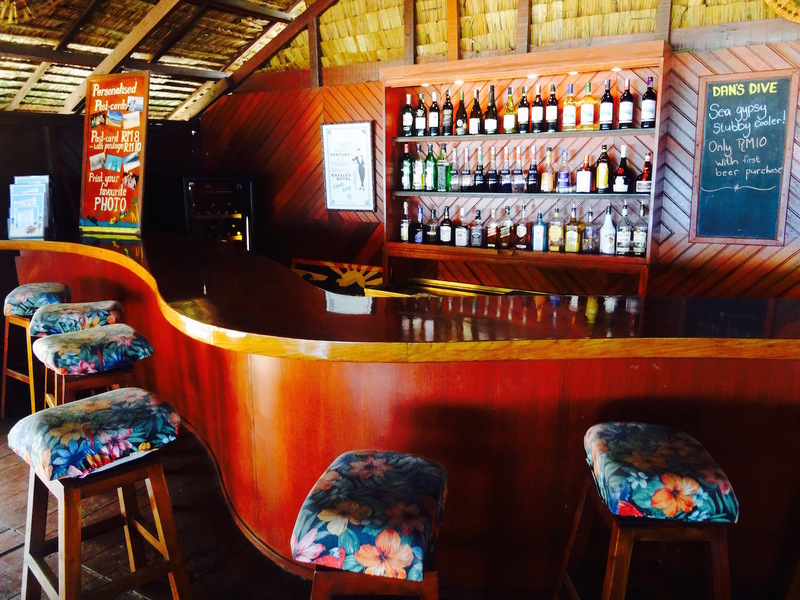 On arrival, the beach bar was usually my first port of call. “Cocktail?” came the daily welcome as I dropped onto one of the comfy wooden stools. “Oh, go on then!”. 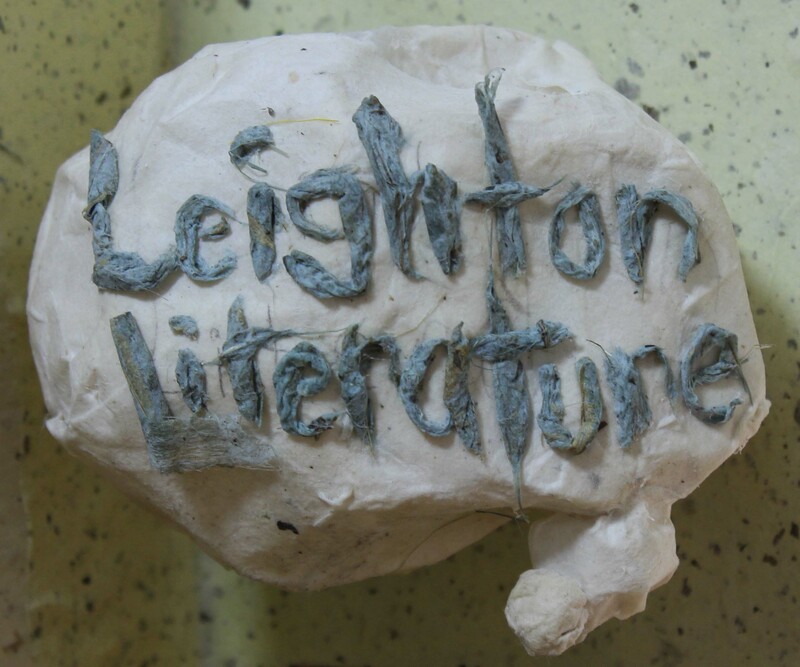 Happy 1st Birthday Leighton Literature!